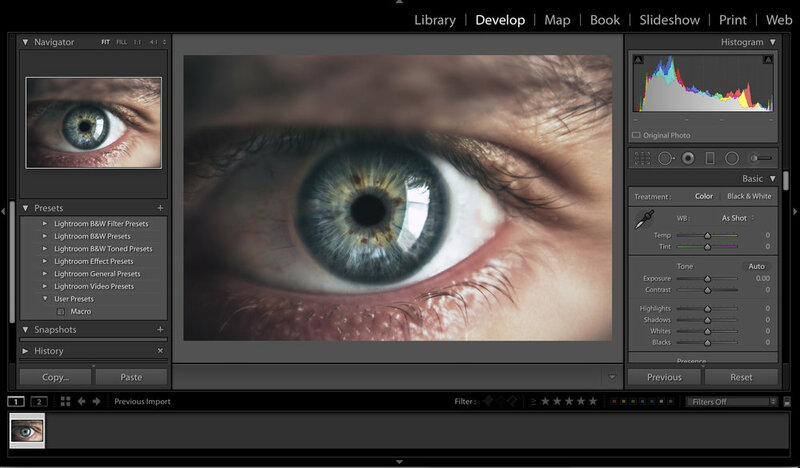 There are many benefits to Adobe’s powerful editing suites like Photoshop and Lightroom. Fast editing, batch processing, keywording and presets can make your life as a photographer a whole lot easier. With practically a click of a button, either on a desktop or mobile device, images can transform into works of art with Lightroom’s Develop module or if you want a layered approach Photoshop can cater for your advanced editing needs. When starting out though, Lightroom is the preferred option for many. And it’s also what I recommend. If you are new to the software, using it can be daunting, but rest assured, understanding the basics is all you need to know to obtain exceptional quality photos. Here you can check out a video on the basics of editing in Lightroom. Adobe Lightroom uses a variety of adjustment sliders to help photographers achieve their vision. Each slider does a different thing, for instance, you could sharpen your photo, use a healing brush to fix blemishes or you could even apply a graduated filter to correct the exposure. Whatever the tool, know it is easy to use adjustment sliders. However, processing images in this systematic way can take time, which is why the software giant has introduced time-saving measures including batch processing and presets. Presets are an essential toolkit for every photographer. They allow you too quickly apply a specific look or editing style to your images. And they are also easily shared. 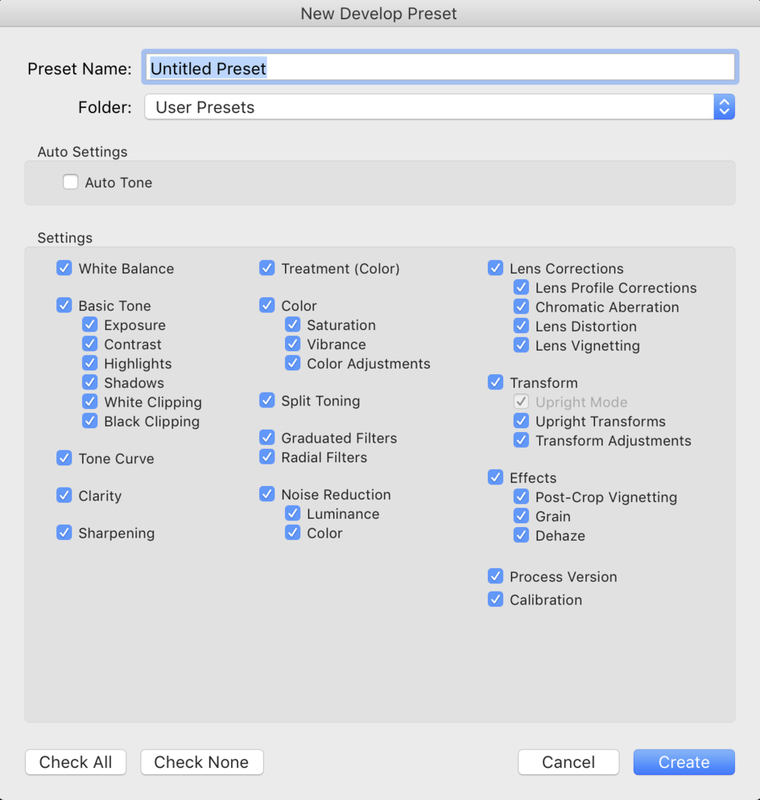 What this means for your imaging workflow is that you can obtain the same look across all your images with just a click of a mouse or tap of the screen. You can even create your presets easily, but what many photographers opt to do when starting is to utilise presets from professionals to yield professional results. The first step is to find the Preset panel. To navigate to the Presets click on the ‘Develop’ tab. Once in the Develop screen on the left-hand side, you will notice a screen that houses the default presets. To use a preset all you have to do is click on the word and your image will change automatically. If you are not sure what preset to use, hover your mouse cursor over the word, and a preview will show. When you are happy with the selected preview, click, and the preset will apply. You can create your own Lightroom Preset by editing your photo the way you like. Adjust as many sliders as you wish and when you are ready click on the ‘+’ symbol at the top right of the Preset panel. When you do this, a new dialogue box will open up. Untick the settings you do not want to apply to the preset (or click the settings you would like if none of the boxes are selected). Once you are happy with your choice, type in a name for your preset, then press ‘Create’. You saved preset will then appear in the Preset panel under ‘User Presets’. To apply your newly created preset to an image, select the desired image in the ‘Develop’ tab and click on the newly created preset! If you see a professional photographer’s image and you like the look of it, then they usually have a preset you could get to obtain a similar look. Buying a preset pack can be a huge time saver, especially if you want to edit your holiday photos or images captured during your last vacation. I have a free preset available for download here if you want to try out the look I went for this summer throughout my trips to Greece, Croatia, Ibiza and Marbella. It’s my favourite preset from my “Greece Preset Pack” and it’s available both for Lightroom Mobile and Desktop.